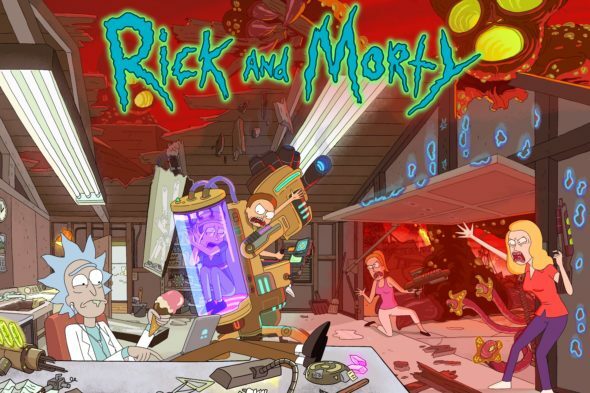 While it may feel like the Rick and Morty TV show is cancelled, the series was renewed for a third season on Cartoon Network‘s Adult Swim programming block, back in August of 2015. The problem for fans is that they last got a new episode in October of the same year. Now, it looks like Rick and Morty, season three, may finally come to fruition on Adult Swim. Watch a storyboarded Rick and Morty third season teaser, after the jump. Rick and Morty follows the intergalactic adventures of Rick Sanchez (Roiland), and his teenage grandson, Morty (also voiced by Roiland). Chris Parnell, Sarah Chalke, and Spencer Grammer also voice characters on the show. Justin Roiland and Dan Harmon created the animated comedy. When Will Rick and Morty Season Three Premiere on Adult Swim? Back in March of 2016, Dan Harmon said he expected the third season of Rick and Morty to debut by the end of this year. NOTE: I am writing this story on December 28th. The premiere date still has not been announced. The sneak-peek video is still in storyboard form. Therefore, I’m going go out on a limb and guess it won’t premiere until some time in 2017. In May of 2016, Adult Swim included Rick and Morty in a returning series press release, but did not include a season three premiere date. A few months later, in July, co-creator and former Community showrunner Dan Harmon started to soften expectations about Rick and Morty‘s return. He would only confirm that the date was “vaguely set.” At that time, Harmon stated they were at least halfway done writing the episodes, yet less than halfway done with the drawing and animation. While we don’t yet know when Rick and Morty season three will premiere, at least the sneak peek feels like progress. When we know more, so will you. What do you think? Are you a fan of the Rick and Morty TV series? Do you plan to watch the third season on Adult Swim? Has the long wait made you lose interest? Sound off, in the comments. More about: Adult Swim TV shows: canceled or renewed?, Rick and Morty, Rick and Morty: canceled or renewed? Hell yeah I’m a fan. Rick and Morty is the best thing on TV today. Period…..